J’avais commencé à regarder le démontage mais pas la peinture . C’est toi Joel qui me l’avait envoyé . Je viens de lire rennlist concernant les ruptures de puits de la 981 GT4. Entre Porsche qui ne veut pas trop prendre en garantie car il trouve un motif soit voiture rabaissée ou para modifié. 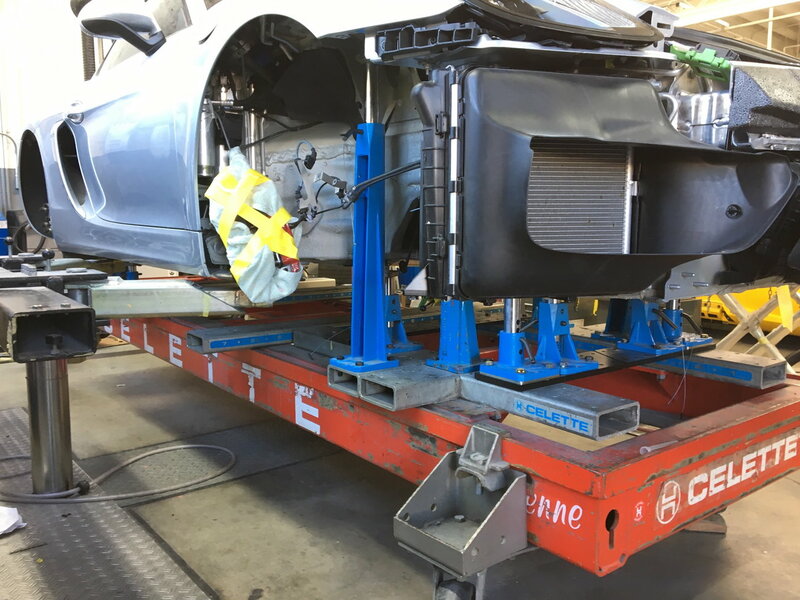 La réparation qui doit être faite dans un Porsche center agrée reparation Alu, car ils remplacent les puits d’amortos et pour avoir la pièce de remplacement faut être agréé . Au states il y a pas beaucoup de centre (visiblement y en a un dans une zone ) avec un marbre spécifique car il a les bracons/support spécifiques désignés par Porsche . Porsche doesn't seem to be talking. 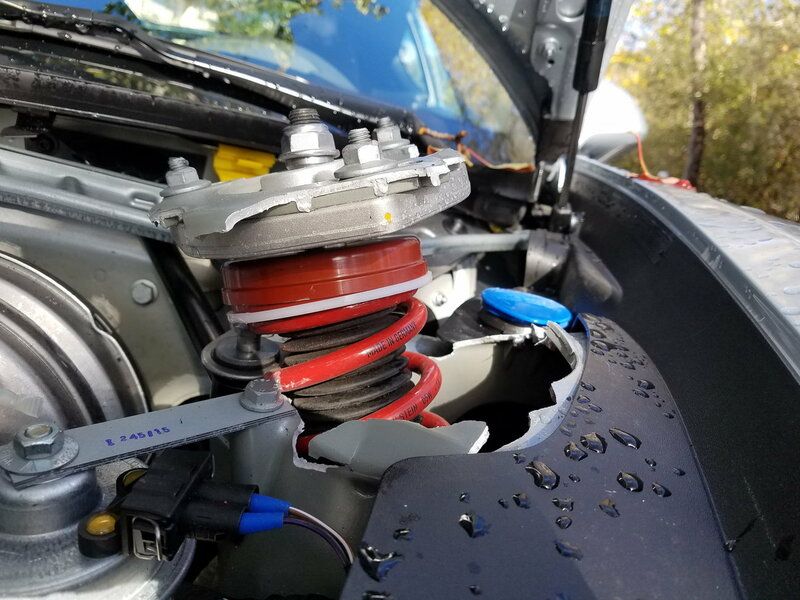 I do know I saw a white GT4 this year with a strut failure from going off course at a DE here in Florida and Porsche fixed it. I believe the car was still under warranty. The body shop said there was some back and forth but they finally agreed to fix it. As soon as it was fixed the owner traded it in to the dealer. Who sold it in less than a week. I have been following this for a long time I think the prudent thing to do is try and lower the unsprung weight on these cars. The GT4 has all 991 components under the front end. Bigger wheels and tires, big breaks, 991 control arms, tie rod ends ect,ect. The base,S, and GTS. caymans have smaller 981 parts. 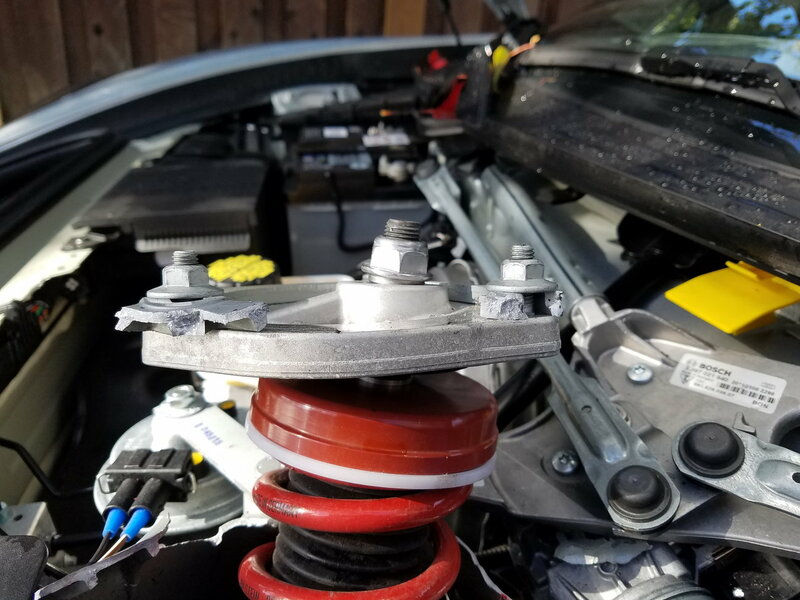 (Dont seem to suffer from this issue) The GT4 rides lower on stiffer struts with less travel. 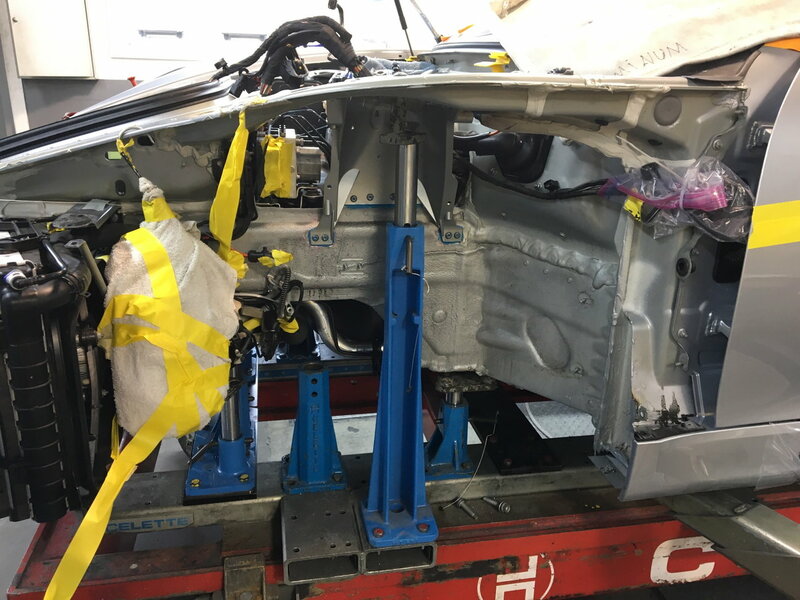 But the chassis and strut tower are 981. 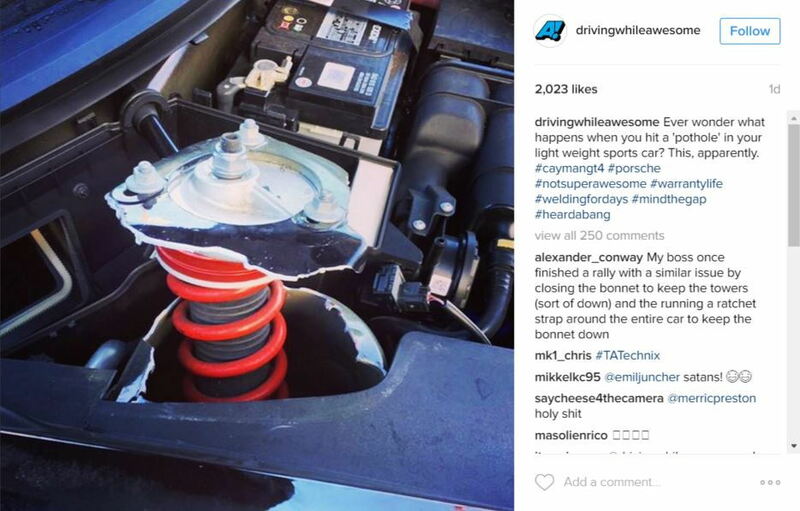 I have not seen a GT4 with PCCBs have a strut failure. 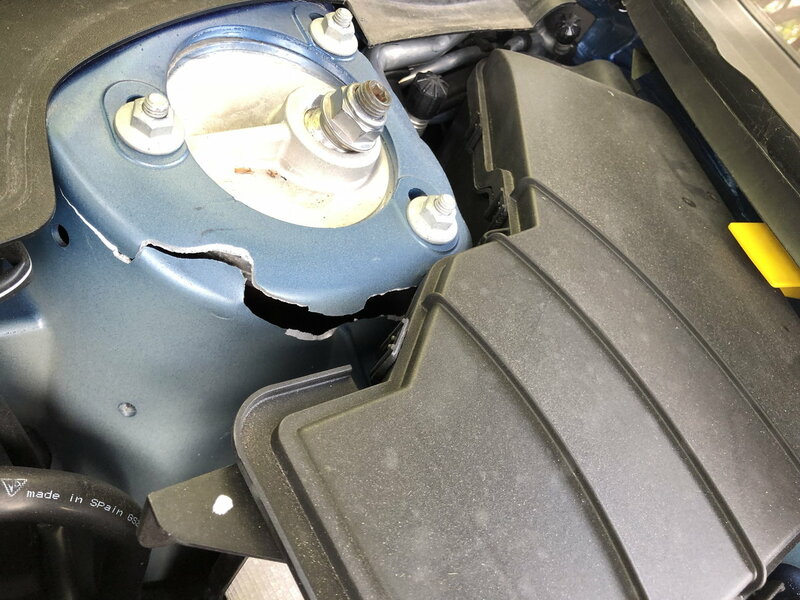 (Not to say it hasnt happen) I think adding DSC module and lighter wheel tire and brake combo is the safest insurance against this issue for the time being. I was able to get the part examined (thoroughly but 'unofficially'*) by a metals lab, and there were some aspects of interest. 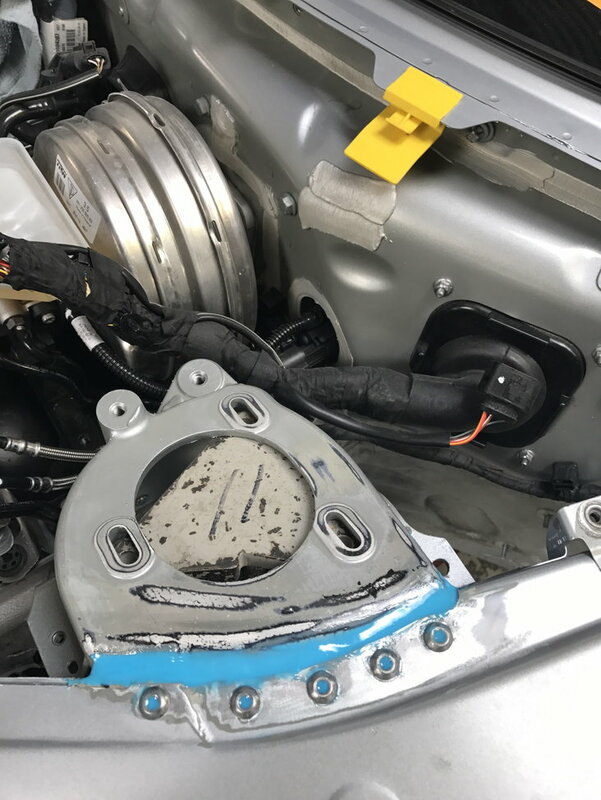 They were not told, but from their tests they were able to identify the metal as from Porsche, because it is apparently a proprietary aluminum alloy that is very strong. 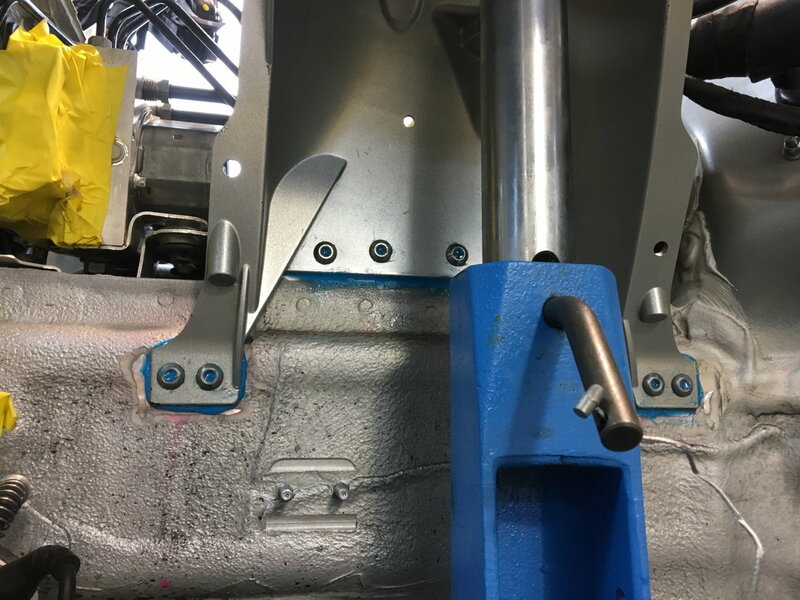 I would guess that any shop that ever simply tries to weld one of these back together would be fighting a metallurgical battle they couldn't win. *The information was delivered unofficially, delivered by word-of-mouth only, for free as a kind and generous professional courtesy. They can make this information available in a formal detailed official engineering report, for a time, if it is paid for, and it is not likely to be cheap. This is because an official report exposes the testing company to time spent later, in involvement in any business or legal proceeding in which the report might become material. 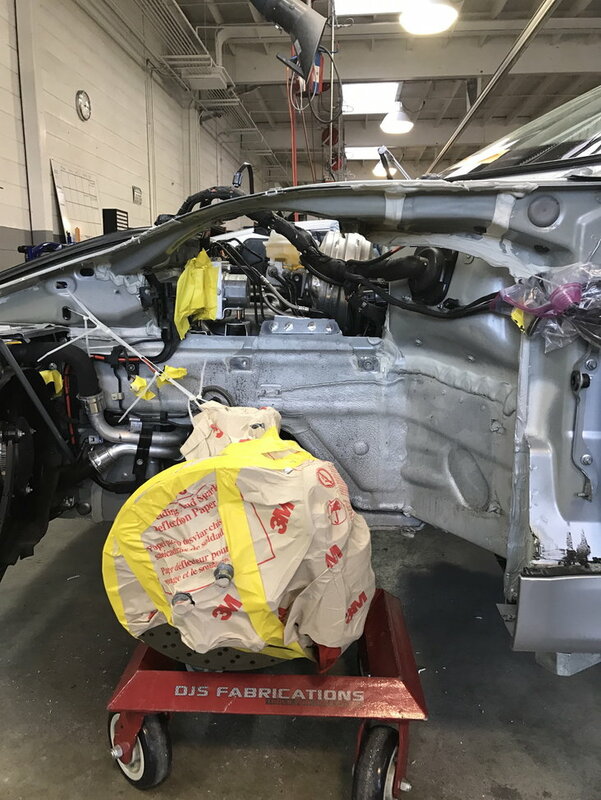 I attempted several times to obtain one of the strut towers through 3 different avenues myself, and some other RL members attempted as well, but in every case the result was that Porsche (PNA and Europe) would not release the part to anyone but a Porsche-certified aluminum repair shop and only to a specific VIN number of a damaged vehicle that needed the repair. If anyone figures out a way to get a brand new part, let me know. 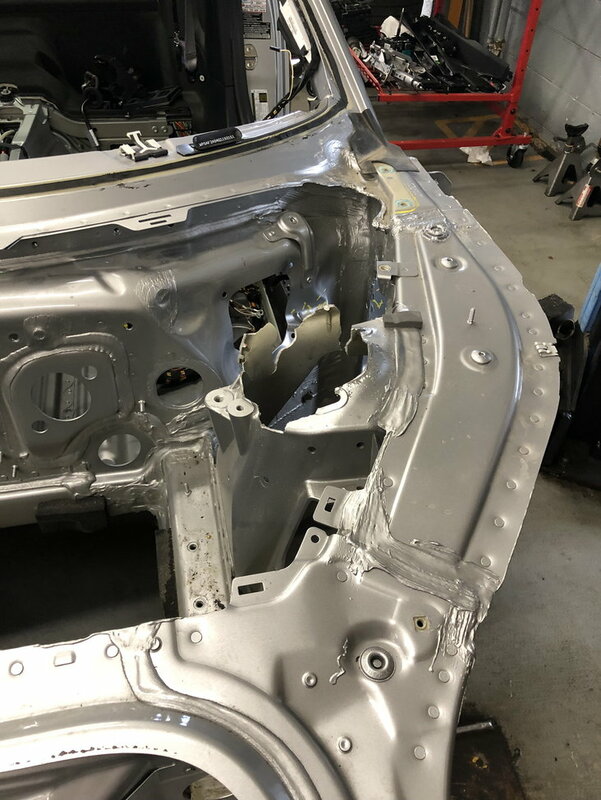 I was going to buy the part out of my own pocket and do a 3D scan and some FEA with various camber plates and load and impact scenarios to see if there were any interesting patterns revealed.